How to Prepare for UPSC Civil Services Interview – The interview of UPSC Civil Services is the final phase of selection process. Being equally challenging like Preliminary and Mains exams, it is important for candidates to get through it to make a place in the final merit list. UPSC Civil Services Interview aims to check whether the candidate is suitable for a career in the civil services. That is, whether the candidate has the potential to deliver good administrative skills. To develop this trait, candidates must work on their personality, communication and decision making skills. And nothing could be comparable to it when you get expert guidance on how to polish these skills. Careers360 here enlists preparation tips for UPSC Civil Services Inter`view by A.K. Mishra, Director, Chanakya IAS Academy. This article provides insights into the structure of personality test, do’s and dont’s of interview, important topics and books that candidates can refer for preparation. The interview carries 275 marks out of total 2025. The panel consists of the Chairman of the interview board and four other members. The Chairman of the board is a member of UPSC. The other four members of the panel are usually experts chosen from different fields by UPSC. The Interview panel assess whether the candidate has the traits essential for various Civil Services. The interview lasts for 30 minutes. Below are few tips on how to prepare for UPSC Civil Services Interview. Candidates should atleast attend three to four mock interview as it will develop confidence to face the real interview board. Improve preparation based on the feedback given by the experts before appearing in the final interview. In UPSC Civil Services Interview, most of the questions are asked based on Detailed Application Form (DAF). Candidates are advised to read the DAF thoroughly and prepare well for the questions from education, hobbies, past work, experience, preferences of services etc. Candidates will have to work on to develop your body language like posture, personal appearance. During interview, candidates must keep calm, listen to the interview panel patiently, maintain eye contact and appear before the board with composed body posture. Candidates must keep themselves updated with the current news, elections and government policies. They should make sure to revise the current affairs of past one month. Read economic surveys, Yojana and Yearbook thoroughly to improve current affairs. 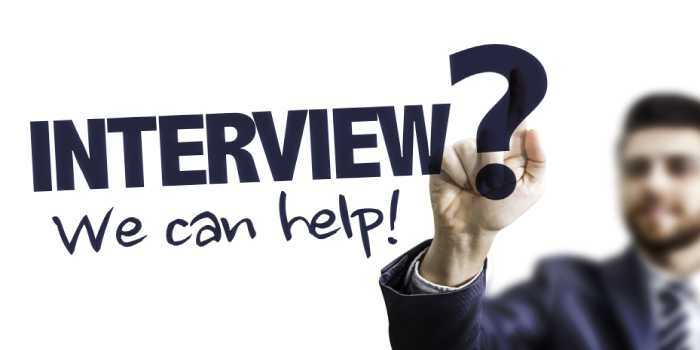 According to AK Mishra, candidates must avoid the following points during interview. Candidates must not show any sign of nervousness during interview. They must do yoga and meditation to overcome their anxiety. Avoid carrying cell phone inside the interview room. Ringing of cell phone diverts attention and might be perceived offensive by interview board. Pompous talks leave a negative impression, so it is prudent not to brag too much before interview panel. Frequently checking time by looking at your wristwatch is a sign of low-confidence. If the interview is not proceeding on the line of your expectation, do not show any sign of nervousness, instead try to bring situation back in your favor. Sometimes, interviewers check your mindfulness and patience during tough and unfavorable times. If an interviewer asks you a question and you do not know the answer, instead of making out the answer, just confess it with a smile on your face that ‘I do not know the answer’. Questions in the interview are basically asked from the following topics. The interview panel ask questions on candidates hobbies that they have mentioned in the Detailed Application Form. Candidates will get questions related to their geographical background like place where they were born, history about that place etc. Many situational questions are also asked like what will you do if an earthquake strikes your district and you are the DM/Collector or SP. Candidates can also expect questions related to their choice of service preference. There could be questions on current political issues, pros and cons of coalition, political prospects of regional and national parties. Questions based on optional subject, why you chose the subject and few other related details are also asked. If you are a working professional, be prepared to face some questions related to your current job, company, etc. Personality test is the test of personality and not knowledge. Your personality will be judged on the basis of logical reasoning, interest and knowledge on current affairs, mental alertness, social traits, critical power of assimilation, ability for social cohesion, intellectual and moral integrity, and balance of judgment and leadership skills. Prepare well for UPSC Civil Services Interview by following the tips and tricks given here by experts. Your CSE brochure has been successfully mailed to your registered email id .